WILLEMSTAD – Premier Ivar Asjes calls the new political party formed by Aubert Wiels, brother of the late political leader Helmin Wiels, a good April 1st joke. Aubert announced last week that he had formed a political movement called 1 Team Magno to pursue the real views and ideals of his deceased brother. According to Asjes, Aubert Wiels was recently seen with the troublemaker Eldon ‘Peppie’ Sulvaran, who called Helmin Wiels a traitor, during a manifestation at the Avila Hotel. According to Asjes, Aubert remained silent. “He did not defend his brother and now he wants to form a party to represent his brother’s ideals? This is a joke,” Asjes said. Asjes also did not have a good word about Sulvaran, his colleague Chester Peterson and former Prime Minister Gerrit Schotte. According to Asjes, nothing has been accomplished between February 2012 and September 2012, but he suggested that both lawyers were appointed by Schotte to be part of a working group simply to make money. Asjes blames Aubert because he stood beside Sulvaran and did nothing against him, while he was making money from the government illicitly. Asjes challenged Aubert to publicly declare that he doesn’t agree with Sulvaran. “He can’t! He is dependent on Reforma’s money. 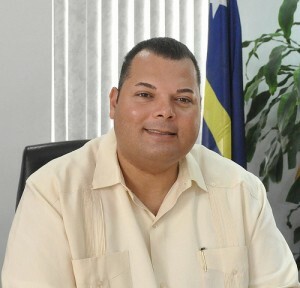 Reforma (reform) is Schotte’s plan to reform the government system of Curacao. Reforma, Schotte, 1 Team Magno, Sulvaran, it’s all the same,” Asjes said.